Great location. 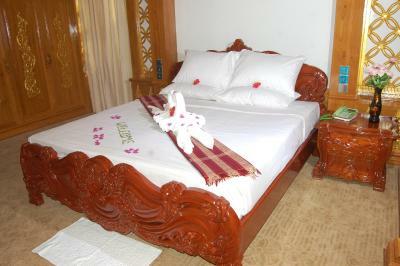 All locations is Bagan seem great as the pagodas and temples are everywhere and it’s easy to get around. The staff were very friendly. 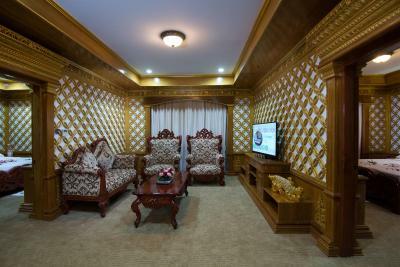 Khách sạn rất yên tĩnh, đẹp. 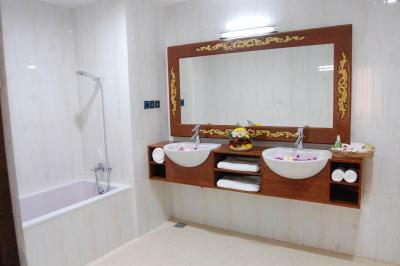 Dịch vụ spa tốt và rẻ. Camera grande e caratteristica. Colazione buona. Zona piscina grande. Staff cordiale. Le personnel est serviable et aimable. La chambre est spacieuse et est au calme. L’hôtel assure la navette aéroport sans frais supplémentaire. Bon petit-déjeuner ! 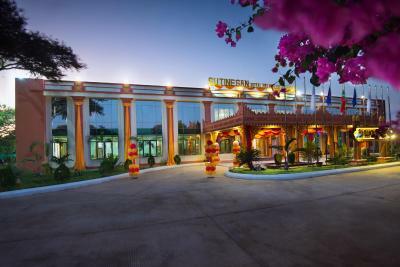 Boasting an outdoor pool and a fine restaurant, Su Tin San Royal Palace Hotel is located in Bagan. 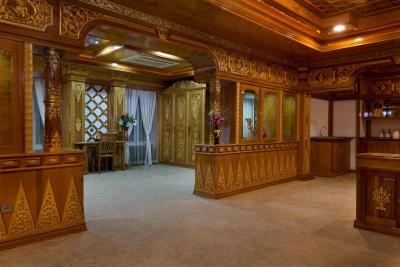 Appointed with delicate wooden furniture and décor, the hotel offers cosy rooms with multimedia, a safety deposit box and a minibar. 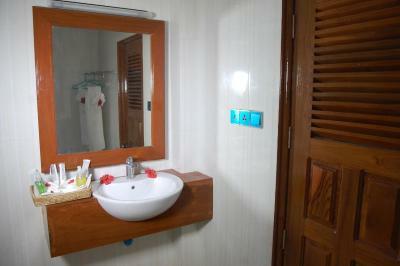 Guests can enjoy free bikes, free airport shuttles and free WiFi. 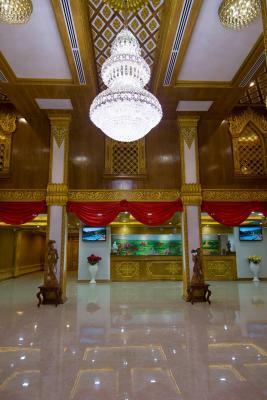 Aiming to cater for guests’ convenience, staff at the 24-hour front desk of Hotel Su Tin San Royal Palace can help arrange laundry service, luggage storage and ticketings. 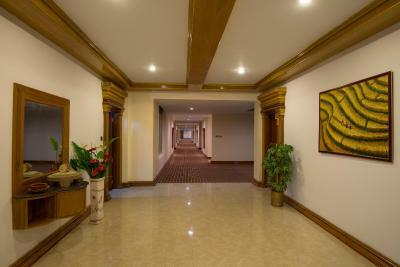 For business purpose, the property also manages meeting utilities and business centre. Free parking space is possible on site. 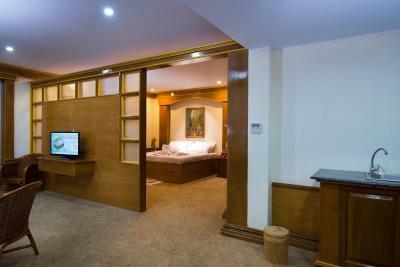 Each stylish guestrooms are complete with a flat-screen satellite TV, air conditioning and a desk. Guests can find an electric kettle in all units. 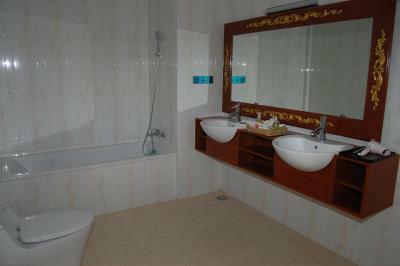 Some room types also comes with a seating area and ironing facilities. 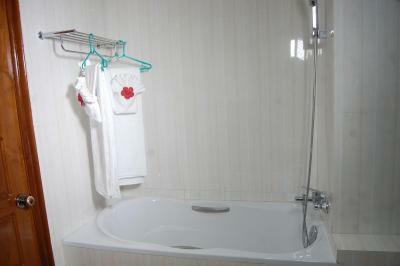 Complete with a shower, en suite bathrooms are well supplied with a hairdryer and a bathtub. 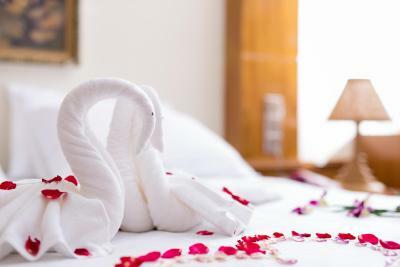 Guests can admire city, garden or pool views from the selected rooms. The hotel is 1.9 miles from Dhammayan Gyi Temple, 2.4 miles from Bagan Archaeological Museum and 2.4 miles from That Byin Nyu Temple. 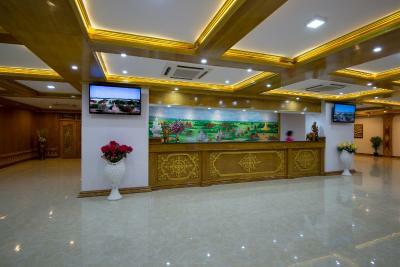 Nyaung U Airport can be reached under 5 miles. 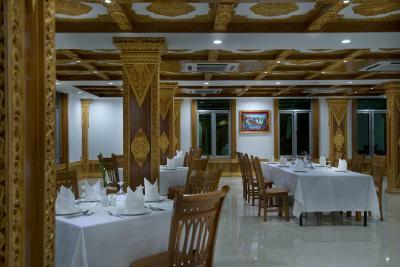 Open for all-day dining, the in-house restaurant serves local and international dishes. 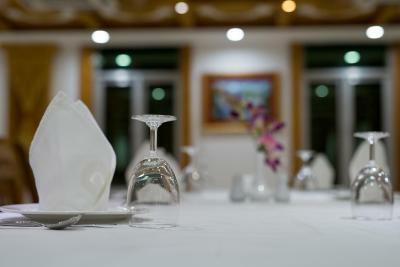 Guests can find enjoyable music and special drinks at the bar. 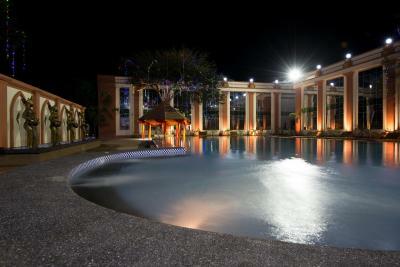 Alternatively, head to nearby eateries, which is available within a 10-minute drive. 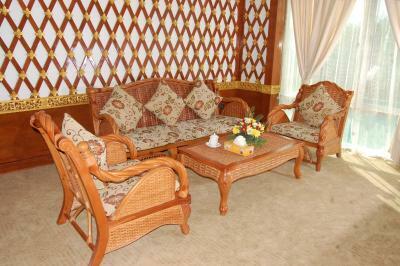 New Bagan is a great choice for travellers interested in friendly locals, culture and scenery. 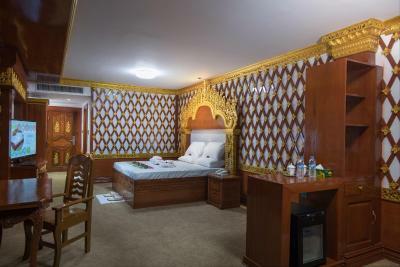 Su Tine San Royal Palace Hotel has been welcoming Booking.com guests since 16 Mar 2015. 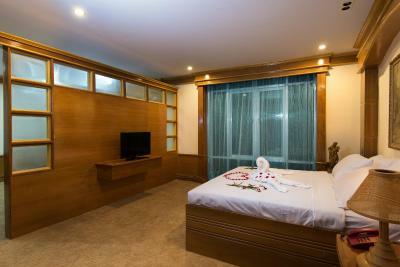 When would you like to stay at Su Tine San Royal Palace Hotel? Featuring city and pool views, this largest unit is appointed with a flat-screen TV with satellite channels, a sofa and a kitchenette. 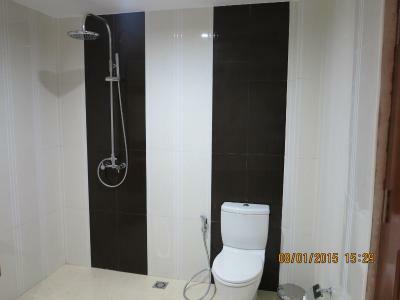 Its en suite bathroom is well equipped with a shower and a bathtub. 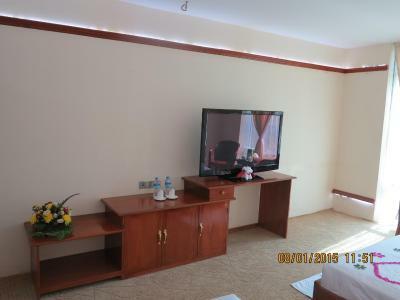 Offing city views, this room is supplied with a seating area, a flat-screen TV with satellite TV and an electric kettle. 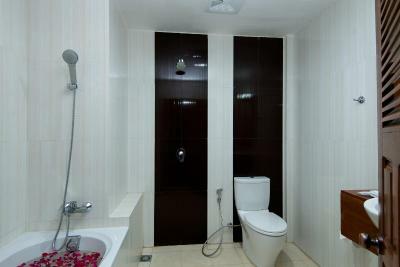 Its en suite bathroom comes with bathrobes and a hairdryer. 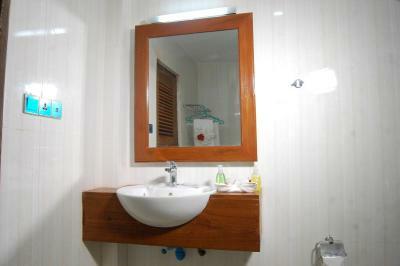 This spacious unit is complete with a flat-screen satellite TV, an electric kettle and a minibar. 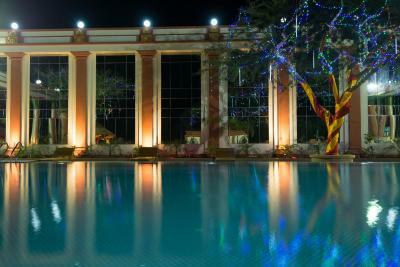 Guests can enjoy city and pool views from the room. 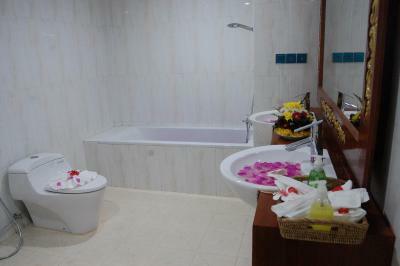 A bathtub and a hairdryer are included in the en suite bathroom. 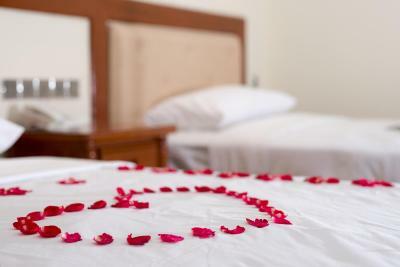 House rules Su Tine San Royal Palace Hotel takes special requests - add in the next step! Su Tine San Royal Palace Hotel accepts these cards and reserves the right to temporarily hold an amount prior to arrival. Hotel full of tour bus groups. Expensive for what you get. food was average.